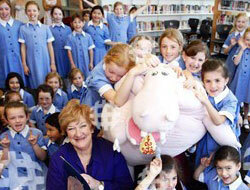 As a visiting author, festival speaker or writer–in-residence, Hazel has been invited to Australian schools, kindergartens and libraries but also to international communities in China, Indonesia, Nepal and America. 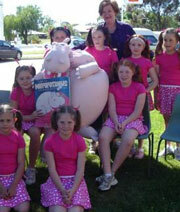 Hazel shares her research and writing experiences as a way of inspiring young readers and writers. 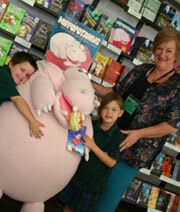 Hazel offers a range of Classroom Resources to support an Author Visit. Click through to Teacher Resources to download the resources. Contact Hazel for more details. 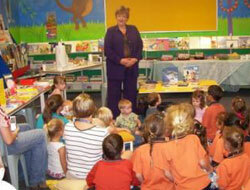 Book Hazel for an Author Visit or check out the Calendar of Events to see upcoming visits. Click here to return to the list of all Speaker Topics.